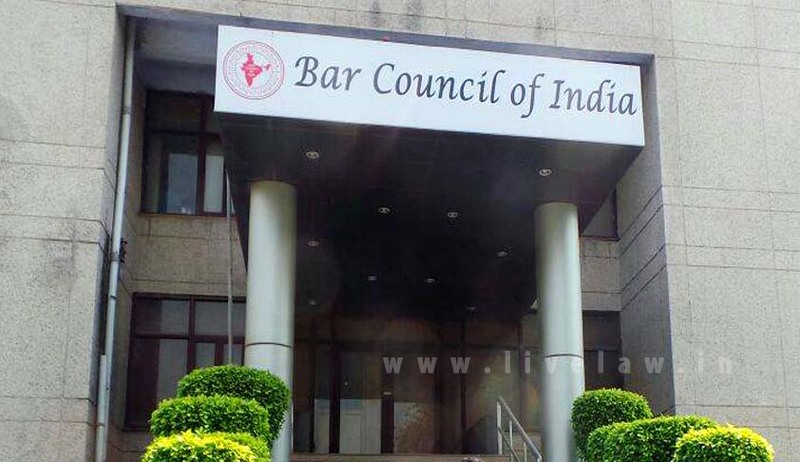 The Bar Council of India has reportedly suspended 15 advocates, including Secretary of Madurai Bar Association A.K. Ramasamy, and its president P. Dharmaraj, for allegedly indulging in violence in the Madras High Court. BCI has directed the Tamil Nadu State Bar Council to conclude the disciplinary proceedings initiated against them for “gross professional misconduct”, within a month and has barred them from practicing before any Court or authority during the continuance of disciplinary investigation against them. Usually, advocates facing disciplinary action are barred from practicing only after being given a chance of hearing or on completion of proceedings. However, BCI chairman Manan Kumar Mishra, in his order on Tuesday, noted that the height of professional misconduct witnessed in Chennai and Madurai court campuses needed such an “extraordinary action”. Terming the events at the High Court as “a very strange and unfortunate situation”, Mr. Mishra directed all 15 lawyers to appear before the disciplinary committee on October 4 in the premises of Bar Council of Karnataka. Advocate General of Tamil Nadu was also requested to either be present himself or send his representative to attend the proceedings. Bar Council of Tamil Nadu and Puducherry was asked to serve notices to them. A Copy of the BCI order was sent to the Secretary General of the Supreme Court, the Registrar General of the Madras HC and to the Secretary, Ministry of Law and Justice, with a request to place it before the Union Minister. Initially, Mr. Mishra had constituted a two-member inquiry committee and declared that the disciplinary proceedings against three advocates would be held at Bengaluru and not in Tamil Nadu. However, the Bar Council of Tamil Nadu and Puducherry urged BCI to reconsider its decision. An emergency meeting of the State Bar Council then adopted a resolution to issue show cause notices to advocates and initiate disciplinary action against them under Advocates Act. The meeting formed its own two-member inquiry committee to hear disciplinary proceedings against advocates responsible for recent events. The resolution adopted by the State Bar Council also termed necessary, the cancellation of the order of Madras High Court ordering eviction of Madurai District Bar Association from court premises. It requested the higher judiciary to reconsider the same. Meanwhile, the order of suspension has reportedly evoked resentment in the legal fraternity in the State. President of the Madras High Court Advocates’ Association, Mr. R.C. Paul Kanagaraj was quoted as saying that BCI had taken an anti-advocate move. The BCI order echoed the views expressed by Chief Justice of India H.L. Dattu on Monday, when he had rebuked the lawyers of the Madras High Court for instilling a “fear psychosis” in the minds of the Judges, with a constant threat that these lawyers with “mob mentality” might enter Court rooms and shout slogans. Hearing in-camera suo motu contempt proceedings against two leaders of Madurai Bar Association, the Bench had lamented the “low level” at which the situation has stooped to now. The CJI said that he has not witnessed such an unruly situation in Courts since 1975. You may read the LiveLaw story here.